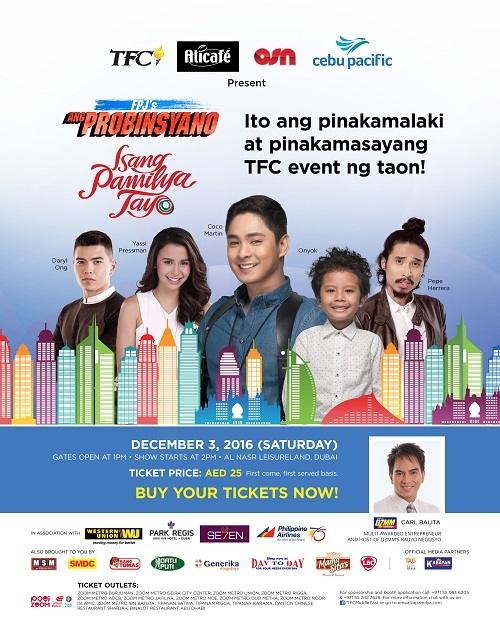 November 14, 2016 (Dubai, Middle East) – With less than a month to go before the “FPJ’s Ang Probinsyano: Isang Pasasalamat’s” first tour stop in the Middle East and just as tickets have been released, the show’s stars are already gearing up for The Filipino Channel’s (TFC) major event on December 2 and 3 in Al Khobar and Dubai. 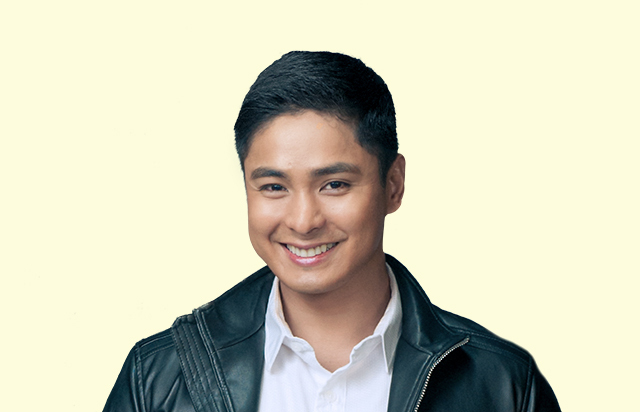 Kicking off ABS-CBN Middle East’s 20th anniversary and part of ABS-CBN’s 2016 Christmas theme “Isang Pamilya Tayo,” the event brings together key members of the cast of “FPJ’s Ang Probinsyano” led by King of Primetime Coco Martin along with “ASAP” Soul Sessions’ Daryl Ong, to celebrate with Filipinos overseas as one family. The three will perform in “FPJ’s Ang Probinsyano: Isang Pamilya Tayo” Al Khobar leg on December 2. Meantime, performing for the Dubai leg are some of the “Ang Probinsyano” cast led by Martin and joined by Dubai first-timers Herrera, Princess of the Dance Floor Yassi Pressman, and Onyok. The Dubai leg of “Ang Probinsyano: Isang Pamilya Tayo” happens on December 3 at the Al Nasr Leisureland in Dubai, UAE. Meantime, joining them for an afternoon of motivational talk is multi-awarded host (Golden Dove Award and CMMA Hall of Fame award) of DZMM Radyo Negosyo,” Carl Balita. Known as a multi-faceted personality in the Philippines, he is an inspiration for budding entrepreneurs, having built business ventures (microfinance and training company, review centers, medical centers, café and a lot more). Because of this, the two-time Quezon City Chamber of Commerce President and Chairman has earned the Go Negosyo Youth Enabler Awardee and UST Outstanding Alumni Award for Business and Mass Media. Moreover, he has been invited to speak in different engagements here and abroad. 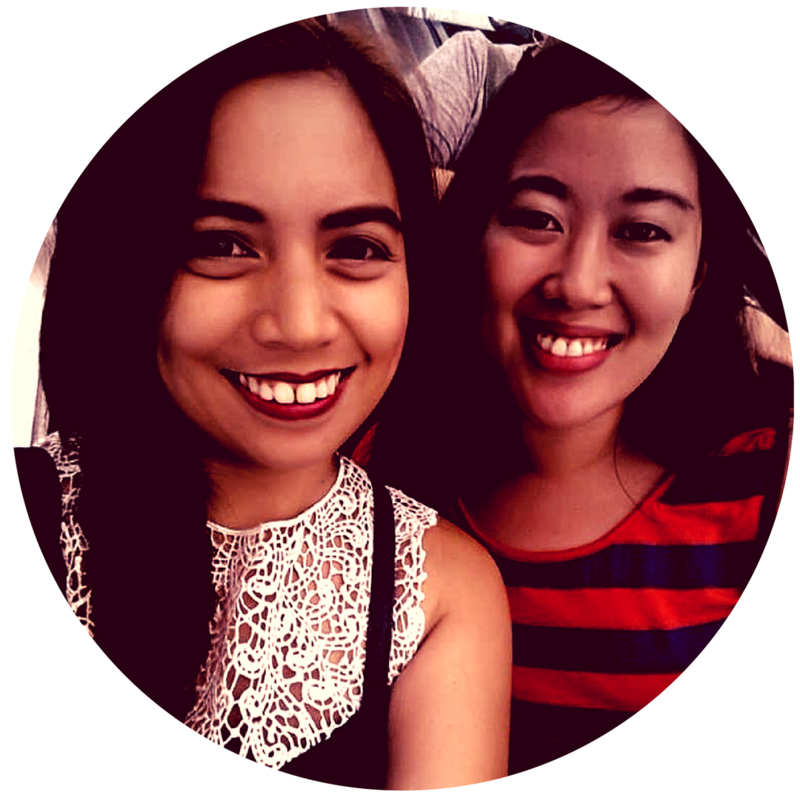 Truly, from entertainment to business, kabayans can turn to ABS-CBN TFC like family, in their journey overseas.